The band has played several concerts and festivals aiding a variety of causes from the Bridge School (appearing three times) and the MusiCares MAP Fund benefit concerts to the Live Earth and Global Citizen festivals. In November 2018, AWMH held its inaugural benefit: The Helping Hands Concert & Auction. 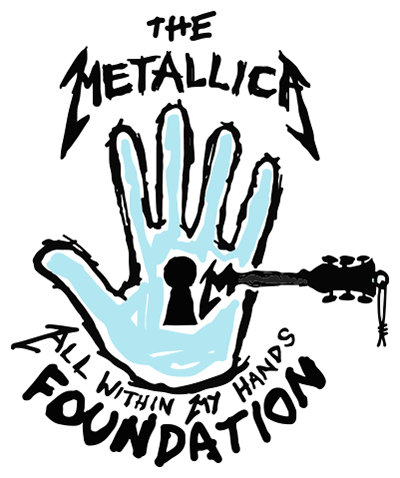 Metallica headlined with a rare acoustic performance and the evening raised over $1.3 million for the Foundation. In 2017 the band played at Band Together Bay Area, a benefit concert for victims of the California North Bay wildfires. Benefiting tippingpoint.org, the event raised $17 million through ticket sales, sponsorships and online donations. In 2016 Metallica played new album release concerts in five cities, donating proceeds from tickets sales to local food banks and other local charities.